Komodo island is located on the West Manggarai Regency. 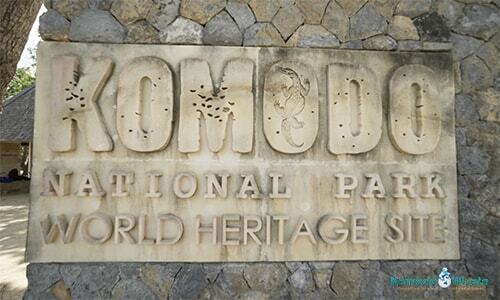 The island is recognized as the home for Komodo Dragon. On the island live giant lizard which is called Komodo Dragons. This region is part of Komodo National Park which is managed by the Indonesian Central Government. In 2009, there are 1.300 Komodo Dragons are living on the island. And there are also some living on the nearest island such as Rinca and Motang. There are 2.500 Komodo Dragons in total which is living in Komodo National Park. The island also keeps the exotic of Flora, beautiful beaches like Pink Beach. The pink beach is famous for its pink colored sand. It is the best spot for swimming and sunbathing. Komodo island is one of the UNESCO world heritage sites in Komodo National Park. There is a village on the island which name after its island Kampung Komodo or Komodo village. There are 1.764 inhabitants are living on the island. The origin tribe of Komodo village is Komodo Tribe, but they are no longer exist since around 1980. At the moment there are living 2 tribes on the island; Bugis and Bima. The island is accessible by boat from Labuan Bajo. Touristic boats, speed boat or liveaboards are available in Labuan Bajo. They depart depend on the tour program they have. So if you want to joint the Komodo island tours, you need to arrange in advance to get a space. Another option to get to Komodo island is booked a liveaboard package from Bali or Lombok. These are maybe spent more days to visit some other islands around Lombok and Sumbawa. Most of the liveaboard from Bali or Lombok are schedules 2 times or 3 times in a week, depend on the season. Local Boats depart daily for the village necessity such as vegetables, waters and many more. At the moment there has no accommodation and restaurant on the island. Ther are only villagers houses on the island. Villagers houses are most storey due to avoid the Komodo Dragon attack. When you do Komodo tour package such as liveaboard, you will overnight on the boat. So all the boat tour provide rooms with AC and Non AC.